Siding, sofas, mattresses and moose carcasses among garbage dumped on fire pile by town's residents. 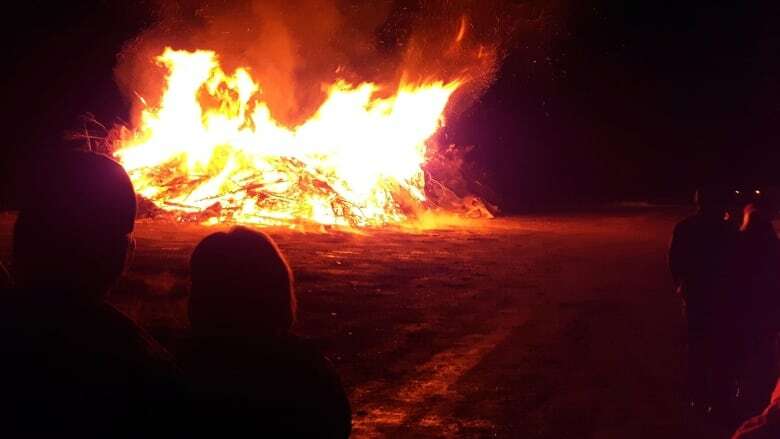 A decades-old tradition in King's Point, N.L., is coming to an end after it became … well, a dumpster fire. This year's community Guy Fawkes bonfire will be its last after too many people were dumping their actual garbage on the pyre, says the town's mayor. Perry Gillingham says people were adding their own trash in hopes it'd be set alight with the rest of the combustibles burned each year on Nov. 5, in effigy of the man behind a failed 1605 plot to assassinate King James by blowing up London's House of Lords. "People were putting siding and sofas and mattresses and plastic bottles and all those kinds of things," said Gillingham. "Spray cans." According to a post to the town's Facebook page, there were also "even many parts of multiple moose carcasses — including a head." Gillingham said it took four truckloads back and forth to the landfill in Green Bay, about 75 kilometres away, to remove all the waste on the pile that wasn't suitable for burning. "It's not only that, it's the work of picking it out of the pile," he said. "Probably cost us a couple hundred bucks." King's Point tried to enforce a wood-only rule for all material brought to the communal pile for the annual event, and Gillingham said the town did its best to spread the word. "Now the majority of people do [abide by the rule], but you've got so many bad apples," he said. "It's like everything else, I guess." The news that this year will be the town's final fire is disappointing to everyone in the town, he said, himself included. "I used to avail of the service myself," he said, noting it was a great convenience to be able to bring down wood waste and put it on the pile. But now they'll have to truck it away with the rest of their garbage, he said. The King's Point Guy Fawke's final community bonfire was scheduled for Nov. 3, but was cancelled because of high winds. If the winds behave Monday night — the real Guy Fawkes night — the fire will go ahead.